Mode Junkie: modejunkie at home on halloween. halloween is not big here in germany so we're just staying in with some friends. it's so damn hard to get decent pictures now outside as i work when the sun is out, so home photos should do for now. playing with miguel is seriously the most amazing thing ever. i learn so much from his as he does from me. Olá! thank you for your kind words ;) Have a nice weekend, yeah! And by the way, nice post yay! Come check Chanel and Rodarte, hope uou enjoy it. Love Ur headband, my dear! your baby is soo cute! i like your boots so so so much. 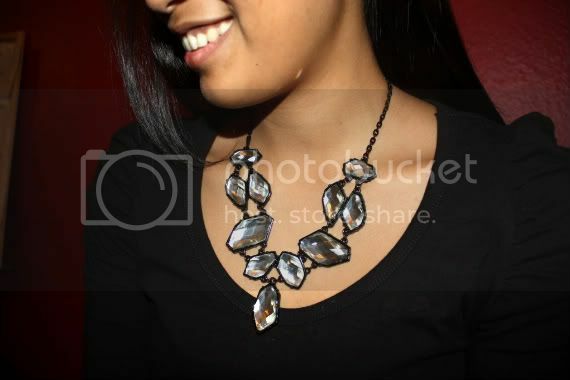 And the necklace too. And your home looks so cozy. I like the black couch. Miguel is so big na. Wala pa syang one di ba? I am thinking miguel on his trick or treat costume pa naman. Anyway halloween is big in Manila, but dito sa province syempre suguran sila sa sementeryo nila. hehehehe. But it's a party scene out there. May sementeryo dito may ferry's wheels and rides pa. hala! Loving the hot pink! And the headband is divine, don't you just love feathers?! Happy Halloween to you too! I like your feathery headgear. BTW, where'd you get the necklace!?! It looks super expensive! Ich war auch nicht Halloweentechnisch unterwegs, meine kleine Fotosession hat mir gestern gereicht:-D ich hoffe du hast noch einen wundervollen Sonntag und bei euch scheint auch ein Bisschen die Sonne!? Loving your outfit as usual an miguel omg I don't know what to say he's the cutiest little baby ever!! miguel is as adorable as ever :) and i love your accessories! and wow, I can't believe how grown up Miguel is! i was a headless bride for halloween! check it out :)! beware! oh man, miguel is sooo adorable. love that feather headband. hope you won the moschino belt! I like your outfit! 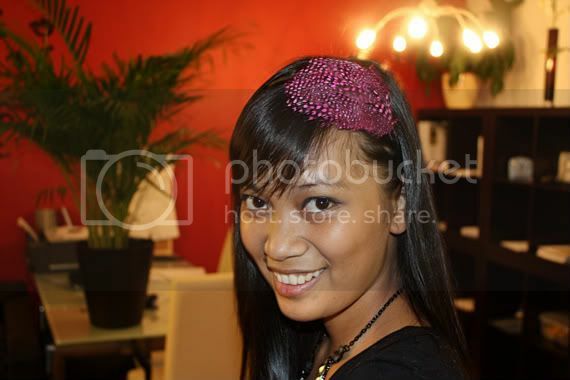 The hairpiece is really pretty. i just love the headpiece, can't believe it's h&m! ur baby is so cute! just found ur blog today and lovin ur outfits:) looking forward to more posts!